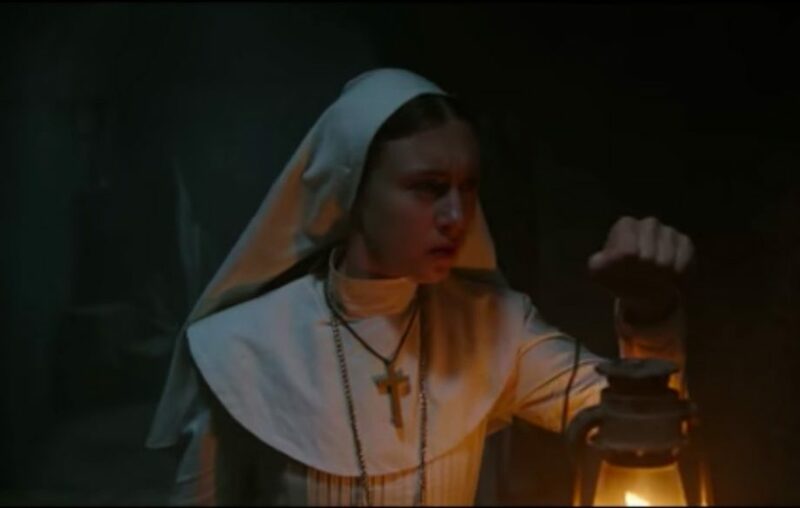 For the lovers of horror movies, new film of The Nun furnchise out in America and worldwide. The Nun is a 2018 American gothic supernatural horror film directed by Corin Hardy and written by Gary Dauberman, from a story by Dauberman and James Wan.A spin-off of 2016’s The Conjuring 2, and the fifth installment in The Conjuring Universe, the film stars Demián Bichir, Taissa Farmiga and Jonas Bloquet. The plot follows a priest and a Catholic novitiate as they uncover an unholy secret in 1952 Romania. The Nun was released in the United States on September 7, 2018, by Warner Bros. Pictures. It has grossed $131 million worldwide and received mixed reviews from critics, with praise for its performances and atmosphere but criticism for its weak narrative and reliance on jump scares. In 1952 Romania, two nuns living at the Cârța Monastery are attacked by an unseen presence while searching for an “artifact”. The surviving nun, Sister Victoria, flees from the attacker and jumps out of a window, hanging herself, as the attacker, a demonic entity dressed as a nun, appears outside her room. Her body is discovered the next morning by Frenchie, a man living in a nearby village and tasked with transporting supplies to the nuns, despite never actually seeing them. The Vatican learns of the incident and dispatches troubled priest Father Burke to investigate along with young novitiate Sister Irene. The pair travels to Romania and meets with Frenchie who leads them to the abbey. At the abbey they discover that Sister Victoria’s body has inexplicably moved from where Frenchie originally moved it, fresh blood appears where she was initially found, and a strange key on her body. Entering the chapel outside the abbey, they find themselves unable to enter the actual abbey and encounter the abbess, who informs them that the nuns are having a vow of silence for the night but they can return the next day, offering lodging at the nearby convent. Frenchie is attacked by a possessed nun corpse as he returns to the village, but manages to escape. Irene mentions how she has various visions including that of a nun. Additionally, Burke reveals that a boy he exorcised was fatally injured during the exorcism and has been grieving ever since. The demonic entity terrorizes the pair that night and Burke is rescued by Irene after being trapped in a coffin. They discover to their horror that the coffin is filled with several books about the occult. The next day, Irene and Burke return to the abbey but only the former can enter as it is cloistered. She meets some of the other nuns and learns that they are praying constantly, swapping in shifts to keep evil at bay. One of the nuns, Sister Oana, reveals the abbey’s history: it was built as a castle by a duke who was obsessed with the occult and the dark arts during the Dark Ages. The duke summoned a demonic entity via a rift he opened in the catacombs but was killed by Vatican troops who captured the castle and sealed the rift with an artifact that contains the “blood of Jesus Christ” before Valak could fully emerge. The effects of the bombings during the Second World War caused the rift to open again, unleashing the same entity, which has taken the form of a nun and whom several nuns have spotted at night. Meanwhile, in the chapel, Burke identifies the entity as Valak after reading the books from the coffin and discovers the abbess’s body is being controlled by demonic forces who shift into the boy he exorcised.